The last several months have been busy with a lot of custom work. We've been keeping busy building a reception area and cabinets for a local design shop, custom cabinets and butcher block counters for 2 kitchens in midtown homes built in the early half of the 20th century, a built-in library in a 1940's bungalow, and a custom bedroom for a local couples minnesota summer home. Each of these projects has included a significant amount of custom cabinetry, and we don't always get to work on a lot of cabinet jobs at TimberSmith. 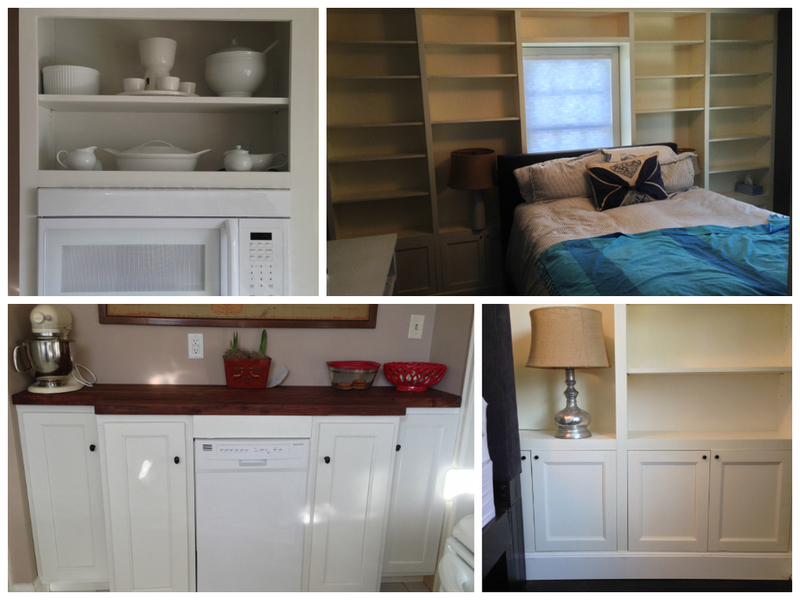 I personally love the challenges that every custom cabinet job brings because there are always so many opportunities to customize to a person's specific needs and solve problems that only can be solved with total custom solutions. Wether we are adding unique trim that ties new cabinets into the rest of a 10 year old home, or adding backlighting and glass shelves to highlight a collection of crystal. Custom Cabinets always provide the unique opportunity to make a space work perfectly for a person.